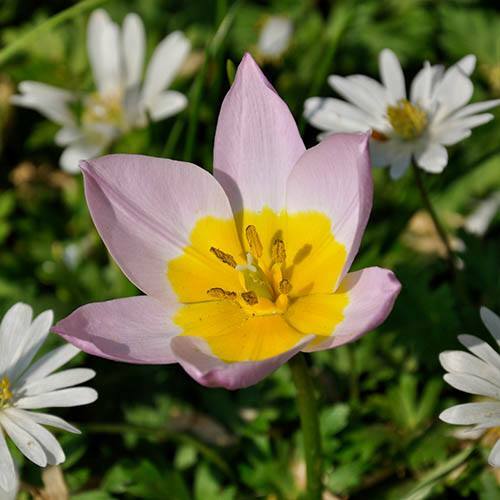 Striking lilac-pink flowers with a pretty yellow centre, these species tulips have short stems with pointed petals. Tulips are one of the most popular bulbs, as they are great planted with many different colour variations to give a fresh, vibrant spring colour to your garden, patio or decking. They also make great cut flowers to brighten up the house. Plant in autumn for stunning spring displays.